Facebook yesterday introduced the much awaited app called Facebook Home which will replace your Android phone’s home screen with an immersive Facebook Experience! 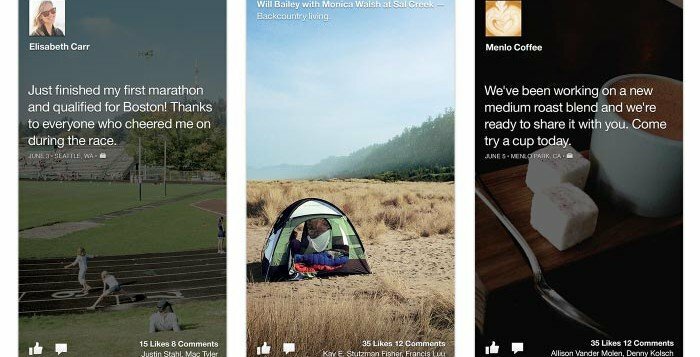 Okay, so what exactly is this Facebook Home? It’s a separate application from Facebook, apart from the original Facebook application. 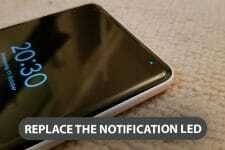 It will only work on android version 4.x and later. It’s not exactly an application I will say, its sort of a launcher. It will take posts from your news feed and will deliver them to your phone quickly and in a much attractive way. It’s called ‘Cover Feed’ here and you can directly see your friends’ recent posts in a full-screen slide show like manner and you can directly comment or like or zoom in to the pictures, right through the Cover Feed (home screen). To see remaining of your apps, you need to tap and hold on your profile picture at the bottom of the screen and you will see the shortcuts to all of your installed apps, its like an app drawer like in NOVA or Action Launcher. People say Facebook Home kind of takes over your phone, I will say not completely, but yes at some points, it does. It shows your posts on the home screen, it shows your posts on lock-screen too. 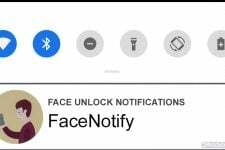 It will show you a continuous scrolling view of your posts on lock screen as soon as you turn on the screen. It also shows the clock and notifications like missed calls unread texts, new e-mails, etc. on the lock-screen. The next interesting thing about Facebook Home is the ‘Chat Heads’. It works with Facebook Messaging and regular texts. When someone messages you, their heads appear on your screen, no matter in which application you are. Just tap it to open the conversation window which will persist on top of your running application. It wont disturb your application and you can keep the conversation going as well. It’s pretty but can be annoying if you are getting too many heads appearing if you are busy doing something. Also, its pretty easy to get rid of them too, just fling the heads towards the bottom of the phone! How to get Facebook Home? 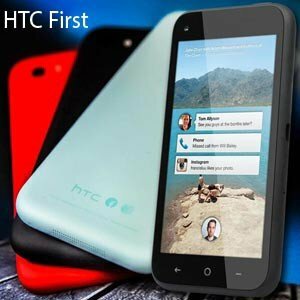 HTC first is quite an impressive device, it’s got a 4.3 inches screen, has a 5 megapixel camera and 4G LTE data, and comes with a 2,000 mAh battery. It comes in black, white, light blue and red. It’s not a high-end device, but neither it can be called low-end. It should handle some casual gaming though. Does it run normal Android apps? Yes! 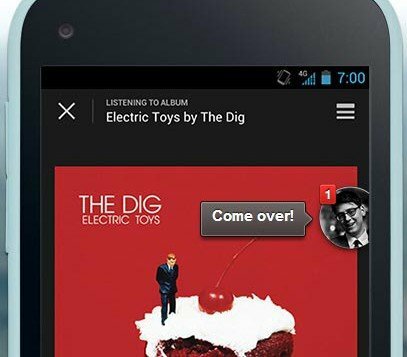 Its actually a stock Android phone which comes pre-bundled with Facebook Home launcher, that’s it. It has full access to Google Play and all the apps you are used to. While you are using Facebook Home, you can’t have no widgets or no folders. But you can turn off Facebook Home and have a stock Android 4.1.2 experience and you can download other launchers as well. If your device is not under the supported list, you can download the ported Facebook Home app for your phone here.